I’ve been cooking a lot of fresh veggies and fruits lately and I’m loving it. I can hardly remember what I used to cook before I had this luxury. This dish follows this same pattern and it’s Springtime cooking at its finest. 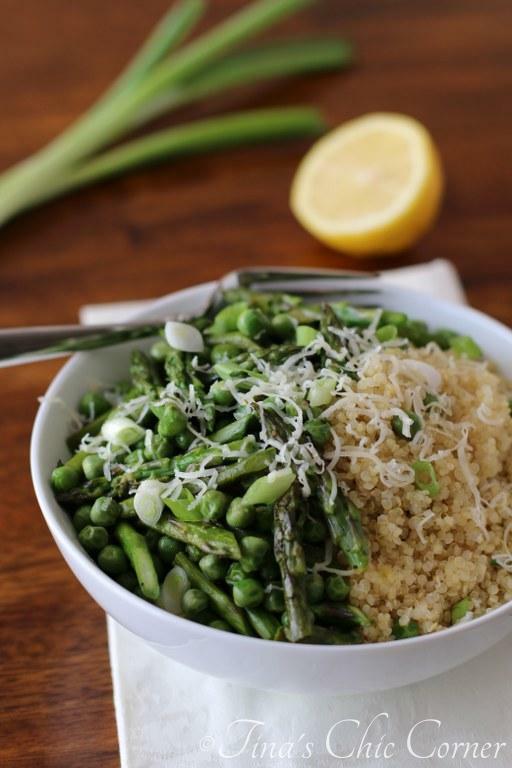 The quinoa is accompanied by a medley of asparagus and peas and is covered in a lemon dressing. Season with salt and pepper. Whisk all of the ingredients together. Add the peas and asparagus. Season with the salt and pepper. Stir all of the veggies so that they’re all coated with the oil and cook them until they are slightly tender. Add the cooked veggies and quinoa to a serving bowl. Pour the dressing over all of the ingredients. Stir in the chopped scallions. Sprinkle the top with the shredded Kasseri cheese. Holiday baking and shopping is now replaced with yard work. Blah, I hate weeding. 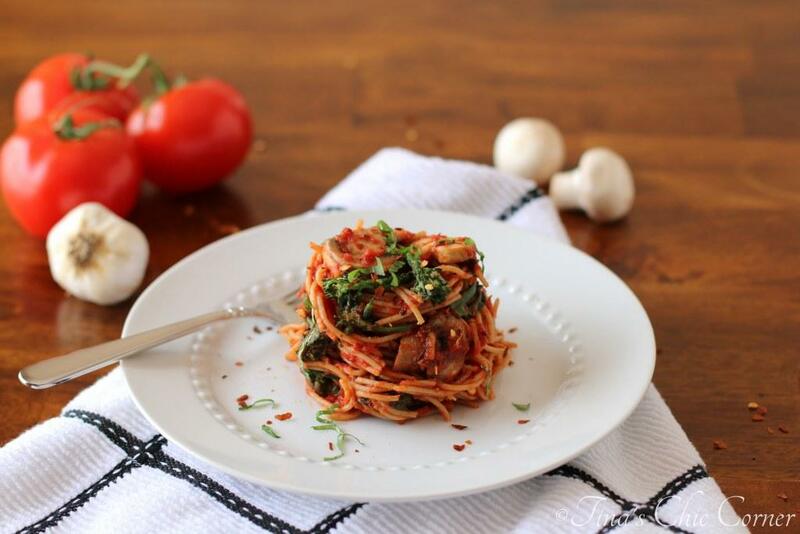 No matter what time of the year it is, we always seem to be busy so quick meals are key for me. Look at all that pretty green! This is definitely a healthy meal. I’m always trying to find ways to use quinoa and I thought it would be great to incorporate it in this vegetarian delight. Quinoa is loaded with iron and protein. This simple lemon dressing is a great way to add a lot of flavor with a Spring flair. 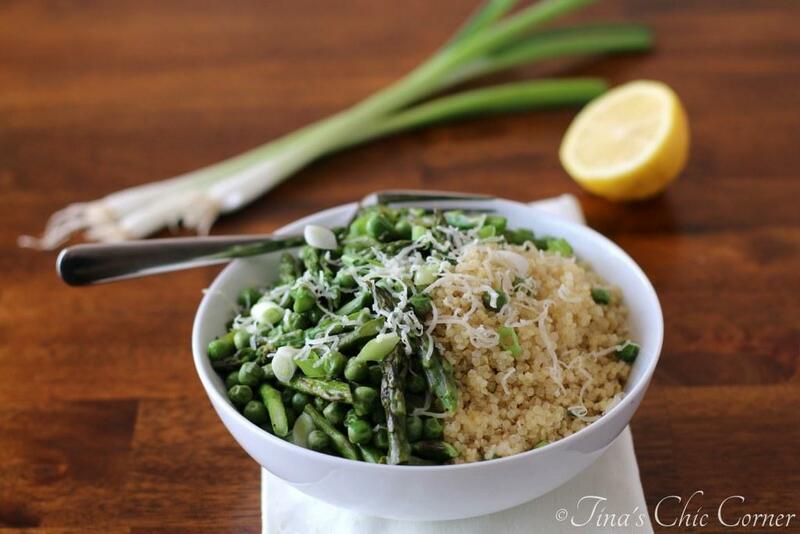 The quinoa and veggies absorb all that lovely lemony zing. I topped the dish with shredded Kasseri cheese. It’s a Greek cheese very similar in taste and texture to Provolone cheese. You can absolutely use Provolone or Parmesan instead, or for that matter any other hard salty cheese you like. What food do you think of when it’s Spring? Here are some other fantastic Spring time meals. This looks awesome – my kind of meal right now! I love all those bright green veggies. The fresh produce this time of the year is just my favorite. Hope you had a great weekend! 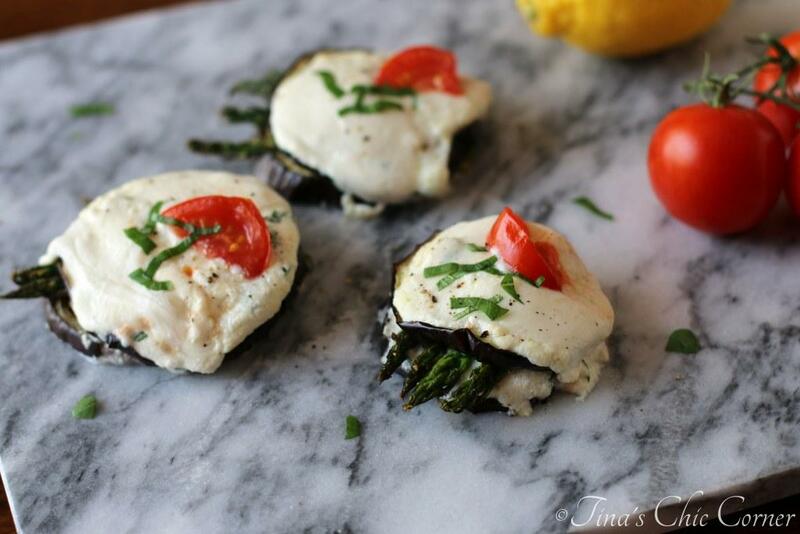 What a perfect spring time dish! The fresh fruits and veggies have me so excited!!! I love this dish – it is so bright and fresh and healthy! What a perfect light dinner! 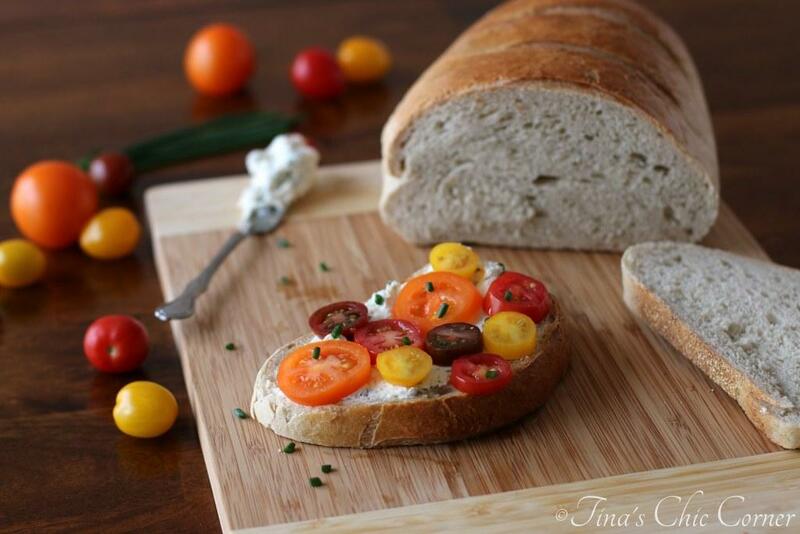 This is a great spring-y dish, Tina! It’s meals like this that make me so happy for spring! Yum! 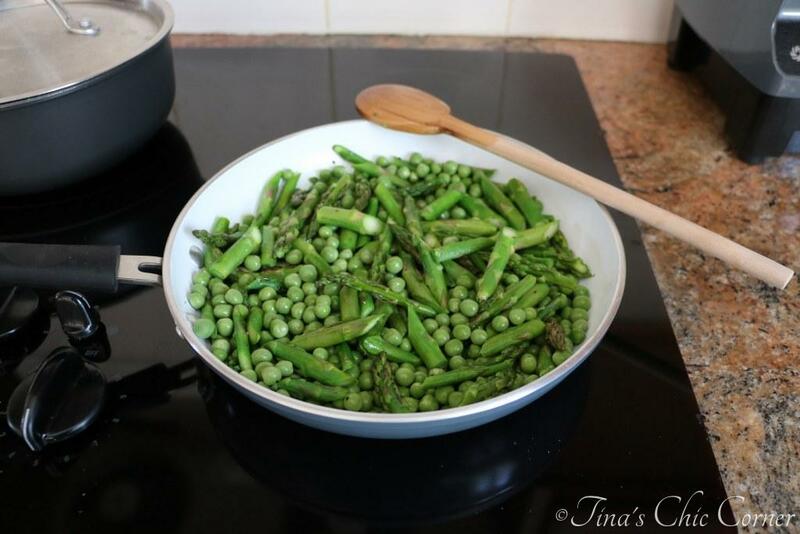 Such a good combination- peas and asparagus! That recipe looks delicious, and I bet it would taste awesome with some pesto too! Absolutely love everything about this dish! I still haven’t tried quinoa and need to asap, pinned and bookmarked. These photos are gorgeous!